From time to time our back garden is graced with the presence of some of nature’s smaller wild critters. Squirrels and chipmunks scurry and scamper from tree to tree; bound from rock to rock and through mounds of fresh mulch. 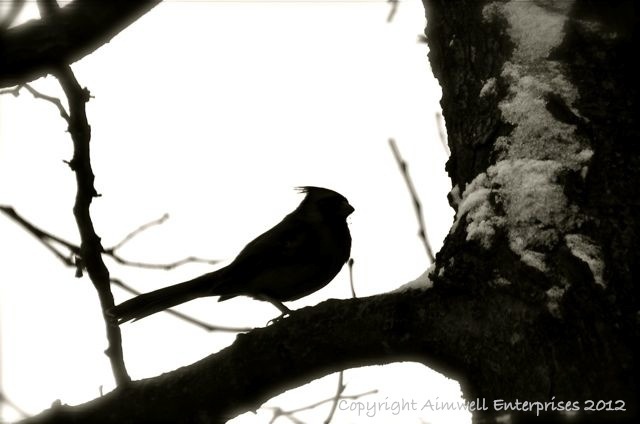 Birds –blue jays, robins, crows, finches, sparrows and cardinals — flit and fly; sing and call to each other and we are the happy beneficiaries of their song. One morning in early spring a bright red male cardinal and his less vibrant but equally beautiful female companion spent some time foraging in our garden. I grabbed my camera and madly snapped away through the kitchen window. Herewith the best of my selection of Mr. Cardinal. 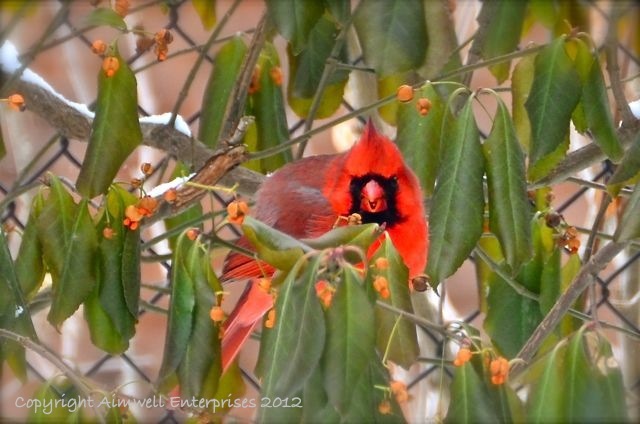 Mrs. Cardinal was modestly hiding in the shrubs. I’m keeping my eyes open for blue jays now. This entry was posted in Animals, Garden, Nature, Photography, Uncategorized and tagged birds, gardens, nature, Ontario, Photography, spring. Bookmark the permalink. 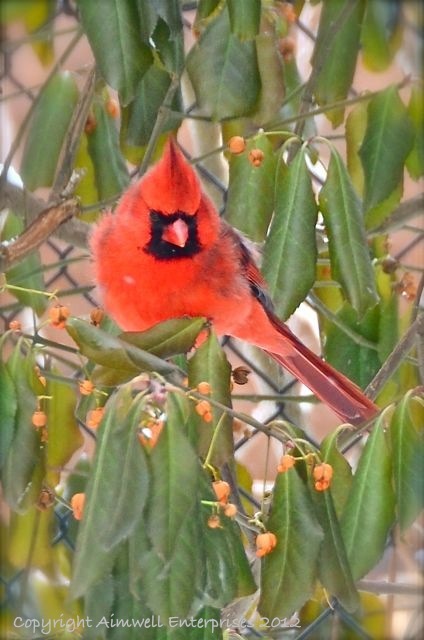 The Cardinal is one of my favorite birds. Your photos really capture their beauty. 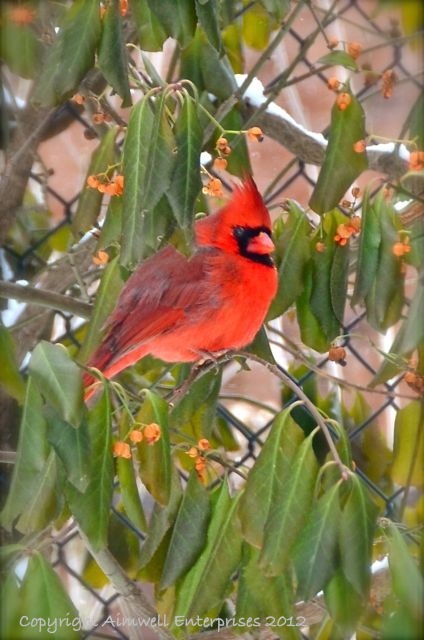 The cardinal is my State’s bird, so really enjoyed this! 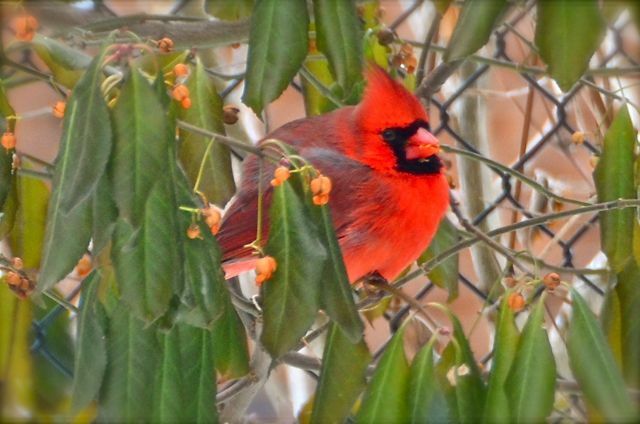 Thanks for sharing these lovely photos – I just moved back to BC after about 5 years in Ontario, and I miss the colourful cardinals!